Kitchen sinks are a crucial part of your kitchen, and we’re not only referring to their functionality. A good sink will enhance your kitchen’s design, and it will become the kitchen’s centerpiece. Kitchens nowadays have to look great. They are no longer the places where the food is cooked, they are now the places where families gather and talk, or where friends drink their coffee and gossip. Open space designs have broken down the barriers between the kitchen and the living room, and you have to use this to your advantage. Having a nice looking kitchen is a great way to impress your guests and family, and it will make your home more welcoming. In the following article, we present the kitchen sink reviews of 2019. Finding the best kitchen sink in today’s busy market is not as easy as you would think, so we decided to help you in your searches with a short buying guide. Basin Depth : 8 1/2"
Double bowl kitchen sinks not only look great, but they’re also very functional and helpful in the kitchen. These sinks allow you to store the dirty dishes in one bowl and wash them in the other. The 32” under-mount sink produced by Ruvati comes with a unique design. The sink has two bowls, but unlike other models, the bowls are separated by a wall that’s 3” lower than the sink’s edge. The wall’s lower height will provide more clearance for you to wash the dishes. Low Maintenance – The sink’s brushed satin finish looks great, and it’s also easy to maintain. The sink has curved corners, so it will be easier to clean than other models. Flush-mount Installation Possible – The sink’s rim has the same finish, so the sink is suitable for a flush-mount installation. Plastic Threads – The drain basket comes with plastic threads. Plastic is not as durable as steel, so this might be the sink’s weak point. When you’re designing your new kitchen, you have to pay attention to what type of sink you’re going to install. No matter how complex or minimalistic your kitchen design is, a good sink will improve it, and a bad one will ruin it. When it comes to choosing a good sink, the KOHLER Whitehaven should be one of your top choices. This apron-front sink comes with self-trimming edges that will look great on your countertop, and are also easy to install. The single bowl sink has a side drain, so it offers more workspace and storage space under the faucet. The faucet’s basin has a 2-degree incline towards the drain, so the water won’t pool when you use it. Apron Front – The sink comes with an apron front that will look great in every kitchen. The apron front makes the sink fit better into the kitchen’s decor. Multiple Colors – This sink comes in more than a dozen different colors, so you can be sure you’ll find the right one for your kitchen. Pricey – Even though this sink looks spectacular and it will enhance your kitchen’s design, it is not cheap. Conclusion: The KOHLER Whitehaven is a luxury sink that will enhance your kitchen’s design, but it comes at a price. If you’re thinking about redecorating your kitchen, you think about installing a farmhouse sink. These sinks are usually larger and deeper than other models, and these features makes them look better in most open-design kitchens. 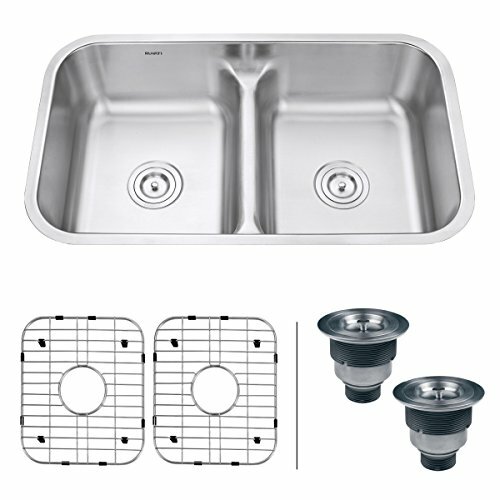 The Kraus KHF203-36 is a double bowl farmhouse sink that’s made out of 16 gauge stainless steel. The sink comes with an apron, and it will look great in most kitchens. 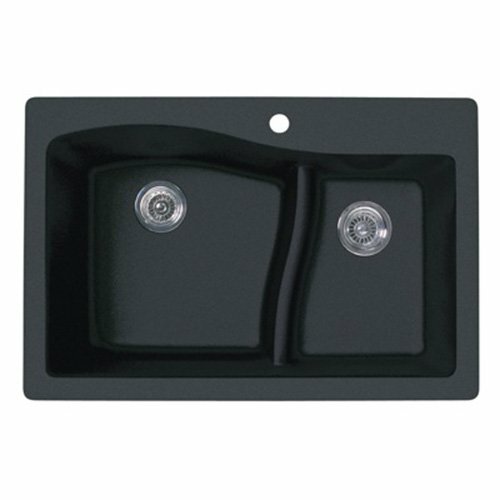 The sink’s deep basins will allow you to store and clean larger pots without any problems. The double basin feature is very handy in the kitchen because you can store the dirty dishes in one basin and wash them in the other one. High-quality Sound Shield – One of the problems of having a stainless steel sink is that they are loud. Pots and cutlery will make annoying sounds when you wash them in a steel sink, and that bothers some people. Well, this model doesn’t have this problem. Thanks to the thick rubber shield, this sink is as silent as a composite one. 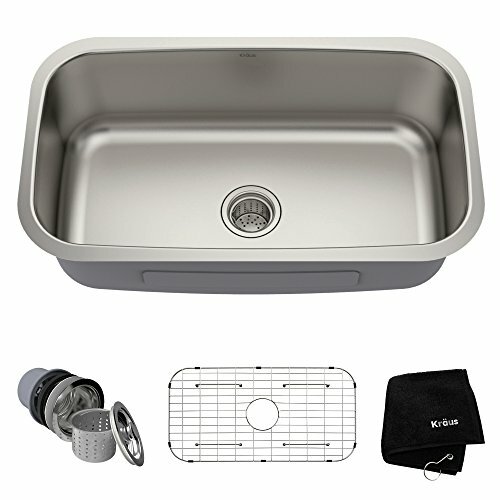 Deep Basin – The sink’s deep basin makes washing larger dishes easier. Apron Can Get Scratched – You should be careful when you use the sink because belt buckles and other metals can scratch the steel apron. Conclusion: The Kraus KHF203-36 is a great looking farmhouse sink that will improve your kitchen’s aspect. Most architects choose farmhouse apron sinks when they’re designing an upscale project. Once you take a look at a good model, such as this Zuhne unit, you will definitely be able to understand why. The sink is large and deep, making an impression every time someone walks into your kitchen. This model comes with a curved apron that will both protect your counter and improve the kitchen’s aspect. The sink uses a noise-canceling shield that makes it more comfortable to use. The sink’s rear drain design offers more space for you to store dirty dishes, and it also provides more clearance under the faucet so you can clean the dishes easier. Thick – This sink is made out of 16G stainless steel. 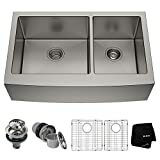 The high-quality steel makes it more durable, and the sink’s patina resists scratching better than that of other models. Great Value – For a large farmhouse sink made out of thick stainless steel that has an apron, this faucet comes at a great price. Poor Installation Instructions – This sink comes with an installation manual. Unfortunately, the installation instructions are not always clear. If you want to install the unit yourself, look for video tutorials online. 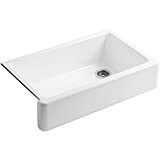 Conclusion: The large farmhouse sink produced by Zuhne is a great-looking model that comes at a good price. Most people choose an undermount sink for their kitchens, and it’s easy to understand why. An undermount sink will provide more clearance around the faucet, allowing you to clean dishes easier. This type of faucet also makes storing the dirty and clean dishes easier. This stainless steel sink produced by Frigidaire has an under-mount design, and it’s made out of 16 gauge stainless steel. The sink has a 10” deep bowl, so it will accommodate even the largest pots and dishes. The sink is easy to install, and it comes with good sound canceling pads that make it silent even when you wash steel cutlery and pots in it. 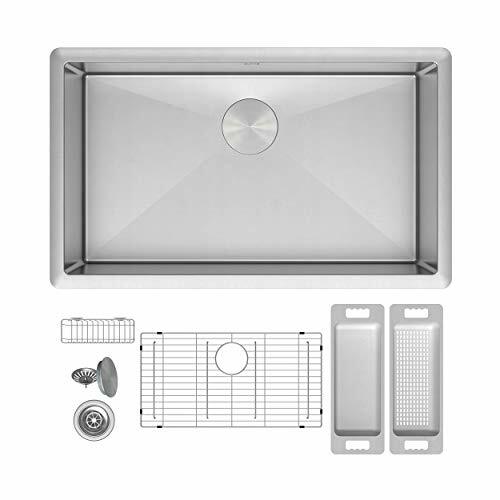 Free Accessories – This sink comes with a dish drying rack, basket strainers, bottom grids, and all the mounting hardware. T 304 Stainless Steel – The sink is made out of T304 stainless steel. This steel is highly resistant to corrosion, and it has a low thermal conductivity. Grate Blocks Food – The stainless steel grate used to protect the bottom of the basin is narrow, so it will occasionally block the food scraps from draining. Even if this might be annoying, do not use the sink without the grate, or you risk scratching it. Conclusion: The undermount sink produced by Frigidaire is made out of high-quality stainless steel, and it will look great in your kitchen. Apron farmhouse sinks look great. They are large, spacious, and they have a minimalistic design that makes them suitable for every kitchen, no matter if it has a modern or classical design. This stainless steel farmhouse sink produced by Kraus is made out of T-304 16 gauge steel. The steel’s quality and thickness make this model a very durable product, and you should expect it to last a lifetime. The sink’s basin has a rear set drain, and specially designed channel grooves guide the water toward the drain, so it won’t pool. 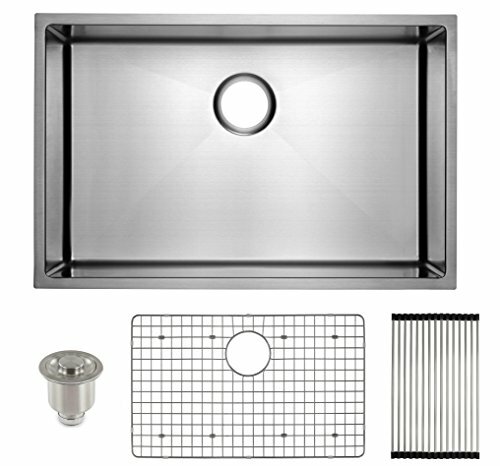 The rear set drain provides more space for you to store and clean dishes, giving you more clearance under the faucet. Apron Front – This sink comes with an apron front that will enhance your kitchen’s design. The apron has the same finish as the sink, and it gives it a better look. Dent-Resistant – The T-304 stainless steel used to construct this sink is dent-resistant and durable. Low Angle – The channel grooves guide the water towards the drain, but they have a low inclination, so the water will drain completely, but slowly. This might mean that food scraps are left behind. Conclusion: The Kraus KHF200-36 is a great farmhouse sink that will look great in your kitchen. If you’re looking for an elegant sink for your new kitchen, or you’re just looking for a more attractive sink to replace your old one, you should take a closer look at the granite sink produced by Swanstone. This sink has a two bowl design that will look great in every modern kitchen, especially those which already use granite countertops. The sink is made out of 80% quartz stone which has a great durability. Even though the sink has a double bowl design, it is not overly large, so it will fit in most standard sized counters. The smooth flow of the sink’s lines will improve your kitchen’s aesthetics. Low Maintenance – The sink’s texture hides the watermarks and fingerprint stains, so you won’t have to clean it very often. Heavy – Even though having a heavy sink can be an advantage because it usually means the sink is more durable, it’s more difficult to install a heavy sink than a lighter one. You will need help when installing this sink. Conclusion: The Swanstone QZLS-3322.077 is a high-quality composite granite sink that will look great in every kitchen. If you want to redecorate your kitchen, and you’re going for a modern look, you should look into installing an undermount sink. These sinks not only look great, but they’re very functional, and they will be in fashion for a long time. The under-mount sink produced by Zuhne comes with a single bowl and is made out of 16G stainless steel. The sink has a deep bowl, providing more clearance under the faucet, so you won’t have any problems cleaning larger pots and pans. The sink comes with a free basket strainer, a bottom grate, a towel, and all the mounting hardware you’ll need for the installation. Deep – This sink has a deep bowl. Not only does a deep bowl help you store dirty dishes, but it will also provide more clearance under the faucet, so you can clean them easier. 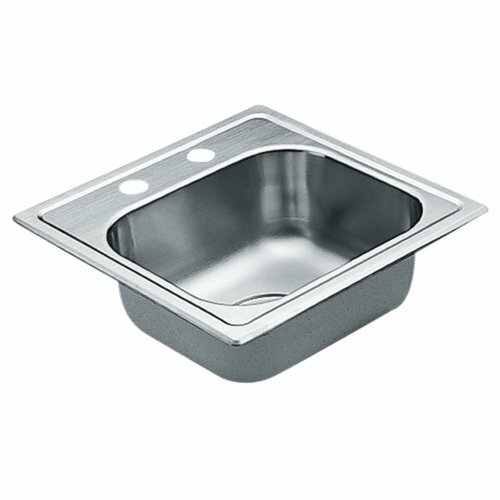 Heavy-Duty Steel – The sink is produced using T-304 stainless steel. This type of steel provides a good combination of strength and corrosion resistance. Visible Stains – Like all stainless steel sinks, this model requires regular maintenance if you want it to look flawlessly. Stainless steel is not great at hiding fingerprint stains and watermarks, so you will have to clean the sink regularly. Conclusion: The undermount sink produced by Zuhne is a good model that comes with a deep bowl. The sink looks great, and it’s also very functional. Some people avoid buying a stainless steel kitchen sink because they believe it will require a lot of maintenance. After all, stainless steel is not the best at hiding the water spots and fingerprints on its surface. This might be true for some models, but it’s not for the Kraus KBU14. This sink is made out of high-quality T-304 stainless steel, but it comes with a top-notch satin finish. The finish is better at hiding spots than the steel’s natural color, so you won’t have to clean the sink so often. The sink is easy to install, and it comes with a good sound shield, so you don’t have to worry about it being too loud for your kitchen. Durable Construction – This sink has an industrial-grade construction, and only premium-grade steel was used for its making. The construction is capable of handling years of use without any problems. Good Sound Shield – The sink is covered with thick rubber pads. The pads will absorb the steel’s vibration, and they will reduce the noise produced when you use the sink. Slow Draining – The sink’s basin has a low inclination, so it will drain slowly. This means that sometimes food will stop in the middle of the sink instead of going towards the drain. 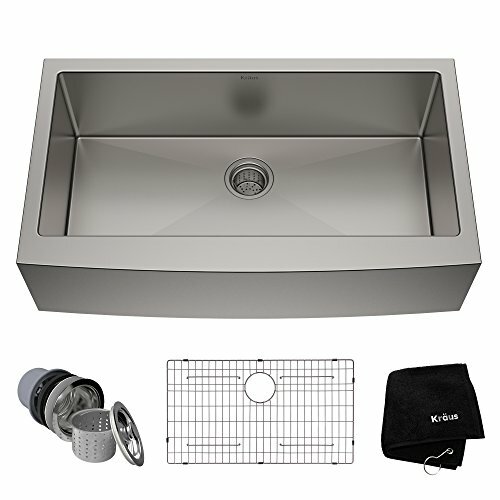 Conclusion: The Kraus KBU14 is a nice stainless steel sink that will look great in most kitchens, no matter their design. The sink uses thick rubber pads to lower the sounds produced when you’re using it. 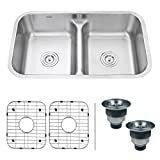 This will improve your experience when using the sink, as even steel cutlery and pots won’t produce loud sounds when they hit the sink’s edges. This sink is made out of 20 gauge stainless steel. This steel might not be as thick as the one used for other models, but it will still make the sink durable and long-lasting. 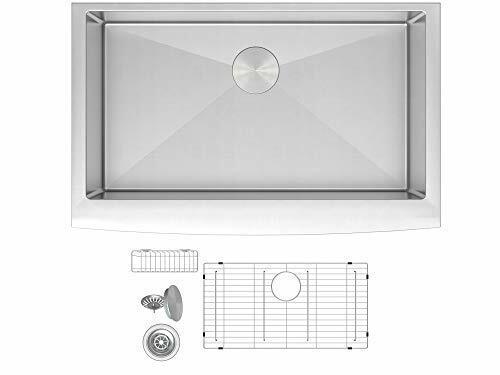 Great Price – If you’re looking for a high-quality stainless steel sink, but you’re on a strict budget, this is the right model for you. Easy To Install – Moen is a manufacturer world-renowned for their easy to install products. Well, this sink is no different. You will be able to install it in a matter of minutes, even if you don’t have any previous experience. Sharp Edges – The sink has some sharp edges, so you have to be careful during the installation. The edges will no longer be a problem after you install the sink. 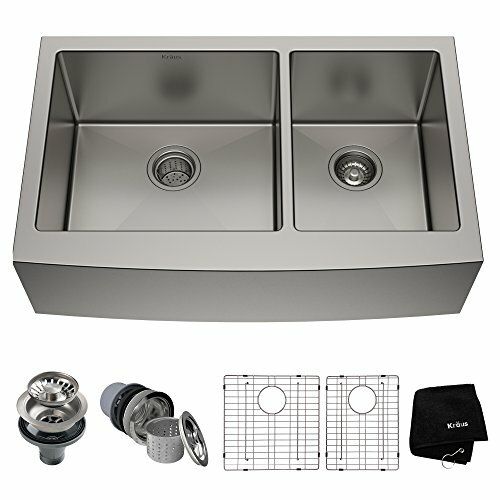 Conclusion: The Moen 2200 stainless steel kitchen sink is a great model that comes at an amazing price. As you could see from our short reviews, there are many types of kitchen sinks. A kitchen sink can make or break your kitchen’s design, so it’s important to find the right one. In the following section, we’re going to explain what to look for in a good kitchen sink, and how to find the right one for your home. If you’re looking for a kitchen sink, you surely noticed that they come in different styles. Some of them have a single bowl, while others have two. There are even kitchen sinks that come with three bowls, but those are only a few of those, and we didn’t find any of them practical. So, which one would be better for your home? Well, let’s take a look at their pros and cons, and you can decide which you prefer yourself. – Most of the kitchen sink you’ll find on the market have a single basin. Some of them have a large basin, while others have a smaller one. You should choose the right size depending on your available space and the counters you use. Single basin sinks are easy to install, and they tend to be cheaper than a double basin model of a similar size. Single basin sinks are great for small kitchens, and they are easy to maintain. One of the disadvantages of using a single basin sink is that it’s more difficult to clean larger dishes when the sink is full. It’s difficult, but you’ll surely find a solution, so you have nothing to worry about. – Double basin sinks tend to be larger than single basin ones, and they are usually more expensive than a single basin model of a similar size. The main advantage of having a double basin sink is that it gives you the ability to store the dirty dishes in one part of the sink, and clean them in another. The main disadvantage of using such a sink is that they’re usually installed with the faucet between the basins. The problem with this type of installation is that the wall separating the bowls will limit your movements when you’re trying to clean larger pots. You could remove this problem altogether if you install the faucet above one of the basins. – Round basin sinks are not very popular, but they can look impressive. As a matter of fact, looks are their only advantage. If you install a round sink on a countertop, you’ll notice that some of the space is wasted. Another problem you might encounter when choosing a round sink is that you’ll need a custom counter to install it on. Most counters have a cut-out rectangular space for the sink, so you will need one that doesn’t have one. – Farmhouse sinks are very popular these days, and it’s easy to understand why. First of all, farmhouse sinks look great. They come with an apron that has the same finish as the sink. The apron will make your counters look better, and it will enhance your kitchen’s design. Farmhouse sinks are also very functional. Unlike other sink types, they are deep, and they have an under-mount design. The design will allow you to wipe the scraps on the counters directly into the sink. The deep basin will provide more clearance under the faucet, so you’ll have an easier time cleaning larger pots and pans. The single disadvantage you might encounter when using a farmhouse sink is that the apron tends to get scratched over time. You might not be able to tell at first, but every time you bend over the sink, your legs and waist come in contact with the apron. This can lead to scratches because your belt buckle or other metal accessories might touch the apron. Choosing the right material is very important when you’re buying a kitchen sink. First of all, the material will greatly influence the sink’s durability. Second, the material will influence the sink’s maintenance. The material will also improve the way the sink matches your kitchen’s decor, but since most sinks come in various colors and finishes, you will be able to find the right one no matter which material you choose. – This is one of the most popular materials used for kitchen sinks. For one, this material looks great in most kitchen decors, no matter if you’re going for a modern or a classic look. They are also durable, and they will last a long time. Unlike the stainless steel kitchen sinks of old, new models come with thick rubber pads that absorb the vibrations produced when you’re using the sink. This will make the sinks silent, so you won’t experience any discomfort when you’re using them. No matter how thick the steel they’re made of is, every stainless steel sink has the same weakness. That weakness is their finish. Stainless steel sinks are notoriously easy to scratch, and they will do so on every occasion. This is why most of them come with bottom grids. You should always use the bottom grids to avoid scratches. Stainless steel is also worse than other materials at hiding water stains and fingerprints, so you will need to clean it more often. Fortunately, using only a wet and a dry cloth can make this material look as good as new. – Granite sinks are gaining popularity over other materials, and it’s easy to see why. They look amazing, and they’re extremely durable. Most granite sinks are made out of a combination of acrylic and at least 80% granite. This composite is very durable, scratch-proof, and even fire-proof. Granite sinks come in a large variety of colors, and they are great for both modern and classic kitchens. They look amazing when installed on island counters, and they will enhance your kitchen’s design. They are also very easy to maintain, and they are good at hiding spots and fingerprints, so you don’t have to clean them too frequently. – These sinks are made out of a composite that combines acrylic with polyester resins, quartz, or granite. They are lighter than granite sinks, but they are still very durable. They are scratch-resistant, and they come in multiple colors. You should determine the size of the faucet you want to install by comparing it with the one you already have, and by measuring the counters you have. If you’re planning on remodeling your whole kitchen, you can choose the sink and then buy the counters accordingly. We can’t tell you which size to choose, but we can tell you that larger sinks usually look better. If you don’t have enough space to install a large sink, but you’re still willing to make an impression on your guests, you should choose a sink with an interesting configuration. Some models come with two asymmetric basins. Others come with curved lines or interesting colors. You should always choose a model that enhances your kitchen’s design. If you don’t know what style or configuration to choose, and you want to choose the safest bet, you should choose a stainless steel model. Stainless steel sinks have been around for a long time, and they will be used for a long time to come, so you can rest assured they won’t fall out of fashion. There are a lot of brands that produce kitchen sinks. Some of them are better known, some less. Here is a list of the best kitchen sink brands you should choose from. World-renowned for their products’ quality, KOHLER is one of the best kitchen and bath fixtures manufacturer. They have an excellent customer support service, and they offer a limited lifetime warranty for their products. Kraus is one of the world-leading fixtures manufacturers. Their products combine elegant aesthetics and functionality, and they are extremely durable. They offer a limited lifetime warranty for their products, and their customer support specialists are friendly and helpful. 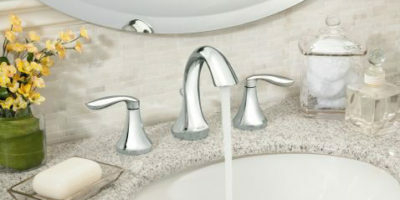 Moen is another well-known fixtures manufacturer. They are world-renowned for the fact that their products are easy to install, and their sinks are no different. Even if you’ve never installed a sink before, you will be able to install a Moen model in a matter of minutes following their clear instructions. If you encounter any problems when using Moen products, you can contact the customer service for valuable advice. Swanstone is a less known manufacturer based in Missouri, USA. They have been around for more than 50 years, and they produce sinks using innovative and affordable surfaces. Their products are very durable, and they also look spectacular. So, you managed to find the perfect kitchen sink for your home. You bought it, and the courier service just delivered it. Now all you have to do is to install it. In the following section, we’re going to explain how to install a kitchen sink in easy steps. First, you need to make the sink fit where you’re planning to install it. Most sink manufacturers will provide a cutting template that will help you modify the countertop so the sink will fit perfectly. If a cutting template was not included, you have to make the measurements yourself. Some countertops come with a predefined hole for the sink. If the hole is not large enough, measure the differences and modify the countertop. If there aren’t any holes, make them yourself. Place the sink in the new hole and install the faucet hoses. Make sure the sink is firmly locked in place by using the washers and nuts provided by the manufacturer. Sometimes, the manufacturer would include a seal or gasket in the sink’s box. Make sure you use them as well. If there were no seals in the box, you should use caulk to make sure water won’t reach inside the countertop. Secure the sink’s retaining clips from the underside to ensure a snug fit. Wipe the excess caulk away if you used any. Connect the faucet’s hoses to the water line. 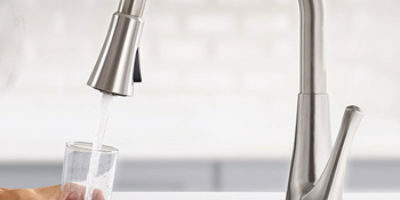 Also, check out our list of best touchless kitchen faucets! 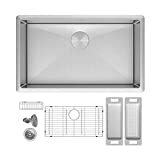 $$ 18.9 x 32.2 x 8.5 inches Stainless Steel Undermount 30 pounds 8 1/2"
We’re certain that after reading the short buying guide and our kitchen sink reviews, you are now able to determine which is the best kitchen sink for your home. As you could see, finding the right sink is not about finding the most expensive model, or the largest one. You have to find the model that fits best into your kitchen, next to the other fixtures and appliances that you’re already using. Not even the top stainless steel kitchen sinks will look good if you try to mix them with Victorian-style faucets, so make sure you choose the right faucet models as well. If you don’t know which faucet model to buy, check out the top-rated commercial kitchen faucets post, here. A good sink is wasted without a nice faucet, so make sure you find a good combination.